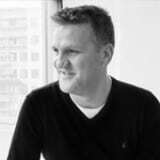 Richard established Astudio with his fellow Directors to continue his passion for designing world class buildings following 12 years at Foster and Partners. Through success in a number of large design competitions, Richard and his team have built a strong reputation in high quality design. Richard is an Architect who focusses on Research and Innovation. He is motivated by unique design challenges and enjoys leading design at and beyond the industries boundaries. Richard has courage to challenge the status quo and leads teams to deliver highly individual buildings that inspire and delight. Richard’s pragmatism for understanding a complex brief and finding elegant yet simple solutions have placed Astudio as one of the most successful rising practices. Richard has encouraged this approach throughout Astudio and clients are often surprised by the innovative lateral thinking which is adopted on all projects to deliver buildings and spaces which are not thought possible in the tight constraints which project briefs often demand. Richard has used this approach to develop a new company 63000Homes, a modular housing design, to deliver higher volumes of quality homes in a faster time frame and at lower costs so that people in need can obtain a home. Richard’s strategy to blend high quality design with research lead Astudio to become Architectural Practice of the Year after just 6 years in practice.